Thomas is a professional chef of over ten years of experience, whose knowledge and passion drives him to perfection in all that he does. 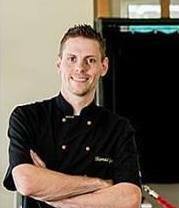 He started out at the Nepean TAFE, subsequently at the King Henry Court in Penrith and then became the Head Chef at Café Lattetude and Wallacia Hotel. 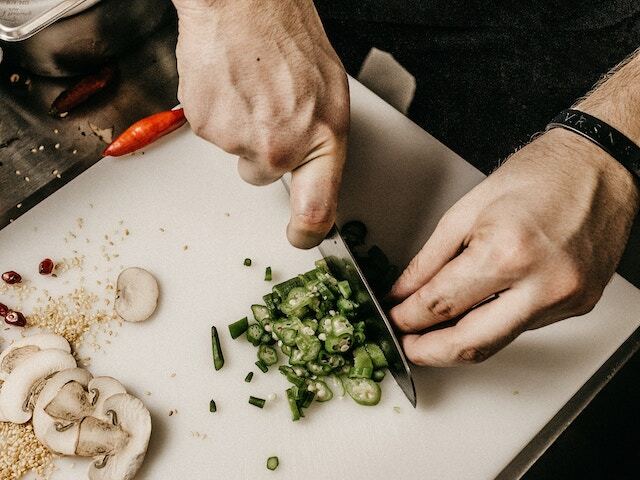 Thomas passion for food led him to start his own catering company and says, “If you really want to make a friend, go to someone’s house and eat with them. The people who give you their food give you their hearts.” Thomas will give you his heart. Thank you for such an amazing experience given to us by Thomas Rye. Not only was his etiquette and mannerism of a stellar grade, in no exaggeration that was the best barramundi meal me and my fiance had ever experienced! We had the pleasure of Thomas coming to cook for us as I proposed to her on a seaside cliff in Maroubra headlands. Chef Thomas has curated this season's menu to showcase his dish style and passions. The listed menu price of $155pp is based on 3-courses for a minimum of 6 guests. Provide your guests with a premium range of canapé's served over 2 hours that will leave them completely satisfied. The listed menu price of $120pp is based on 10 dishes for a minimum of 10 guests. This casual banquet menu has been designed to allow guests to serve themselves from a choice of dishes placed in the centre of the table. The listed menu price of $95pp is based on a selection of Mains, Sides and Dessert for a minimum of 10 guests. The ultimate crazing table with a premium selection. The listed menu price of $105pp is based on a minimum of 25 guests and includes all selections below, bamboo serving plates, napkins and table styling. Chef Thomas will work with you to create the perfect menu to meet your dietary and budget preferences for your occasion. Price will be determined after the first consultation.